William E. Baneyis an Associate attorney with the firm. Mr. Baney joined the firm in June 2015. Mr. Baney, practices as counsel in the Firm’s Litigation Department, has handled or extensively dealt with many cases in the Civil and Supreme Courts, including complicated rent regulation disputes and difficult holdover proceedings. He successfully tried a case involving an illegal sublet in a Single Room Occupancy unit, where the occupant claimed to be a permanent tenant. He successfully assisted in litigation involving a dispute regarding rent regulation coverage in buildings receiving RPTL § 421-g tax benefits. Mr. Baney also focuses in the area of cooperative and condominium disputes. In addition to litigation, Mr. Baney also advises clients regarding rent regulation compliance. 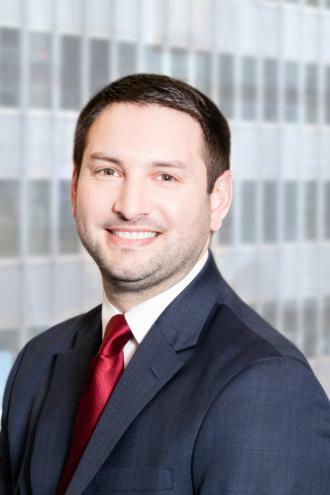 Mr. Baney is a member of the New York State Bar Association and has been recognized as one of 2018’s Rising Star in Real Estate by Real Estate Weekly and was selected as a Rising Star in the New York Metro Area by Super Lawyers each year from 2015 through 2018.